Flowering - February - November. Habitat - Flatwoods, pastures, roadsides, disturbed sites. Other information - This little species can be found scattered throughout Alabama. 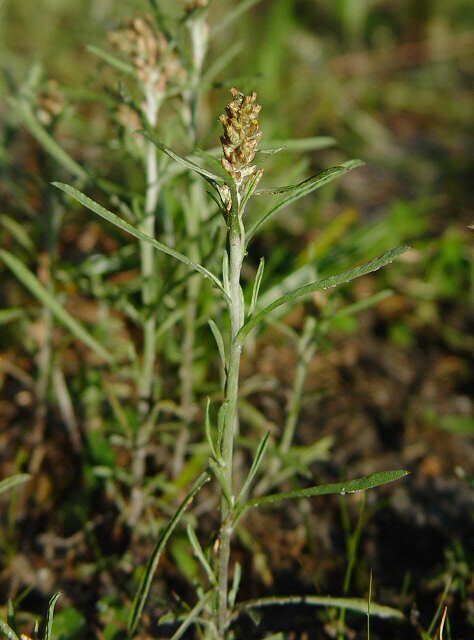 The plant can be identified by its sericeous stems, thin leaves, and small, tan flowerheads. The leaves are equally pubescent on both surfaces. 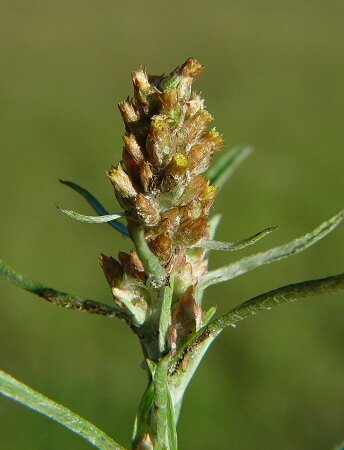 This species starts blooming very early in the spring but continues to bloom for most of the year. The genus name Gamochaeta derives from the Greek "gam(o)" meaning "united, combined, marriage" and "chaet(a)" meaning "a bristle, long flowing hair" referring to the bristles of the pappus which are united at the base and are shed as a single unit. 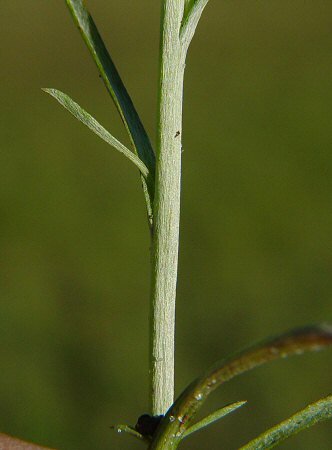 The species epithet falcatum derives from the Latin "falc(i)" meaning "a sickle" referring to the curved, thin leaves of this species. Photographs taken at Conecuh National Forest, AL., 3-28-05.